Next review LeafFilter North - Hard sell on estimate. Manager was condescending. Sep 05, 2016 Hello - Leaffilter does not condone deceptive sales practices. 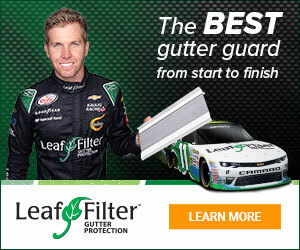 All of LeafFilter’s installers are trained and local professionals that focus solely on gutters; we strive to provide the best possible experience for our customers, ensuring that your gutters are properly cleaned, realigned, and LeafFilter Gutter Protection is properly installed. Leaf Filter North and all of its separate entities (locations) claim to be the manufacture, use W2 (employees) to do the installations; AND their sales people are corp. taught to deceive the customers. Commercial acct rep etc (list out from up to $30+ per ft and sell 4 as little as $10. They subcontract 99% of the labor and sales. They have/do charge "Leaf Filter" customers for services, despite a "Lifetime" warranty on "ownership/dealer" liability games. Review #485285 is a subjective opinion of User485285.